This 8 1/8" Pro Skinner fixed blade knife features a Damascus steel blade and genuine India Stag Bone handle scales. 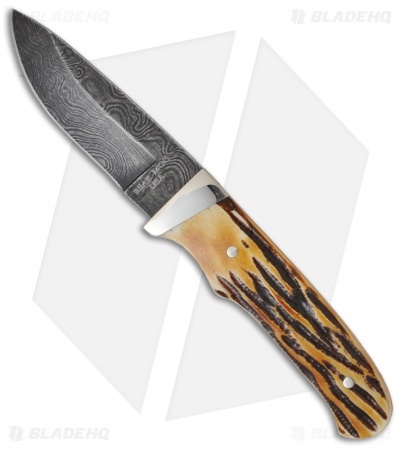 The nickel silver bolsters adds a great touch to a classy, well-made knife. 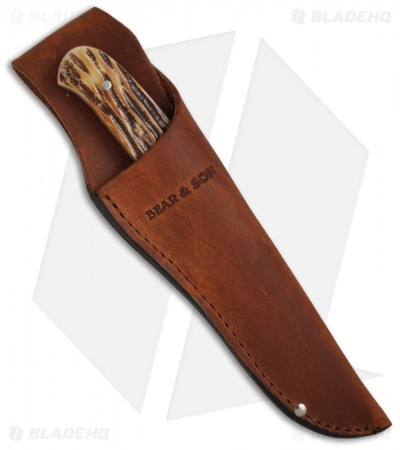 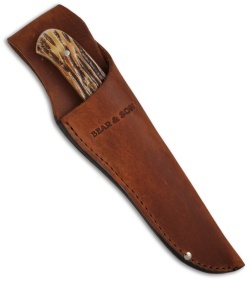 The included leather sheath has a belt loop for carry.